The increased applications of IoT technology are quickly changing the way we live, the way we travel, and the way we work. As we identify disruptive and secure ways to utilize and share this data from connected homes and buildings, vehicles, and equipment, service providers are also looking for ways to provide value-add services, better customer segmentation, and more accurate product models. The insurance industry is an early adopter of IoT via telematics data from connected vehicles, fostering improved rating models via more precise and frequent feedback. Personal and commercial carriers are looking to propagate this business model in other products areas through data collection on connected homes and commercial buildings. Whether it’s a security system, fire suppression infrastructure, heavy duty tools and equipment, or human/employee location, this data can be ingested into risk models to more accurately price risk – meaning better rates for those homeowners, drivers, and operators who use best practices. This mass migration of data is already underway and available in various industries. The next step involves education for both the data providers and to the insurance industry on how to better understand, digest, and utilize the information available for risk management strategies. The data providers will ultimately drive the development of new products and services from the insurance industry. In this session, we will review the latest developments and applications of IoT in the insurance space, highlighting patterns and key practices to keep in mind when evaluating product opportunities going forward. We’ll touch on the importance of collecting the “right” data and securing the intellectual capital it holds. We will also discuss various methods and options for utilizing data for insurance coverage purposes and the strengths and weaknesses of each of these options. Target audiences include any OEM and/or enterprise who is looking to leverage their data in alternative ways for return on investment and potential savings in their insurance coverage. Participants will leave with a thorough understanding of how IoT data will play a major role in the development and maturation of insurance products going forward, citing working examples already available in the personal and commercial lines arena. 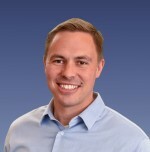 Zack Schmiesing Director for Verisk Insurance Solutions, is responsible for product development and thought leadership for commercial lines. He is responsible for IoT product applications focused in the commercial lines insurance space for connected buildings and commercial auto. He also contributes to cyber risk decision making tools and solutions. Zack has 11 years of experience in the property insurance field at the primary carrier, reinsurance brokerage for catastrophe risk mangement, and underwriting solutions level. He has a Bachelors and Masters of Science from The Ohio State University.